The Fellowship was fortunate enough to obtain a copy of YOUNGBLOOD #71 from Image Comics. John McLaughlin wrote the story with art by John Malin and Rob Liefield. 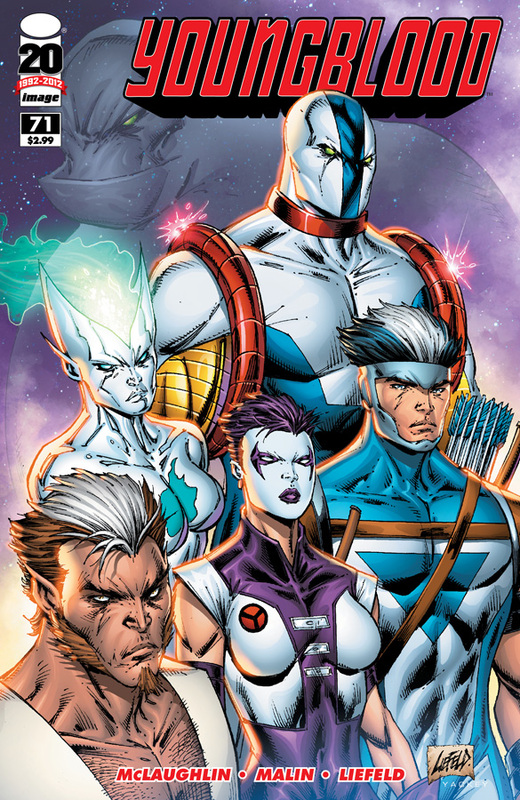 Youngblood is a superhero team that is sanctioned by the United States government. They are Liefield’s version of THE AVENGERS (even though it came from a TEEN TITANS idea he had that didn’t happen). I read the YOUNGBLOOD books when they first came out YEARS ago and enjoyed them. McLaughlin does a good job of introducing some of the characters to new readers and creating intrigue to find out what has happened since the “previous” issue. There are a lot of fans who do not like Liefield's work (he's hit or miss with me), but the art in this issue looked really good. Overall, this is a nice start back for the series.